Tired of paying for gun solvent? Learn how to make your own homemade gun solvent with only three ingredients on the cheap inside! 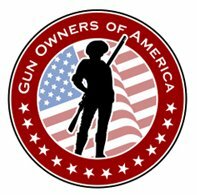 This entry was posted in 2nd Amendment, Pistol & Handgun INFO, rifle, Shotguns and tagged 2A, 2nd Amendment, bore cleaner, bore scrubber, Gun lube, Gun Solvent, gun solvents, Right to carry, Right to keep and bear arms, Second Amendment to the United States Constitution, solvent. Bookmark the permalink. Many different ways to make the solvent, this is only one way. Vapors are combustible. Depending on the weather, I like Marvel Mystery Oil, and Naphtha. If the weather is below freezing, I like K-1 kerosene, and powdered graphite. graphite can be messy. I liked the jar from the art supply, rather than the plastic tube, that gets me nowhere. An art brush natural bristle, applies the graphite. Then I couldn’t find the brush and I started using cotton swabs. Below freezing, means a detailed disassembly of the weapon. If you fail to do that, odds are, there will be problems in weapon function. These kind of homemade things, I really enjoy.